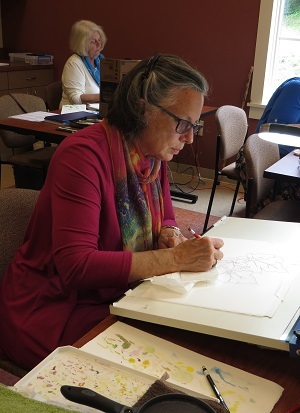 *This class offers 20 hours required credit toward the Garden Education Series: Botanical Illustration Certificate. Required pre-requisites: Introduction to Drawing for BI, Intermediate Drawing for BI, Introduction to Watercolor for BI, Intermediate Watercolor for BI, Botany for BA, Introduction to Pen & Ink for Scientific Illustration, mid-point review completed. View and print the class materials list.